Today I want to talk about gratitude. It’s been on my mind a lot recently for a variety of reasons. Mother’s Day is coming up, the weather where I live has finally decided to be pleasingly springlike, and the mood of the city is one of cheer. All of that adds up to feeling very happy for what I have, and thinking about how I can share this feeling with others. This is why authenticity is so important for small business owners in their interactions with customers. If you truly love what you do, you must love *who* you are doing it for, at least a little bit. It’s okay to speak to your customers as friends - maybe not best friends, but good friends. Here are some ways to show and share your gratitude. 1. Talk about it - You don’t need to get extremely personal, or even to mention it very often, but you should be willing to be open with your customers and peers when you speak to them. If you are having a rough time and was buoyed up by a random kind comment, it’s okay to say how much it meant to you. 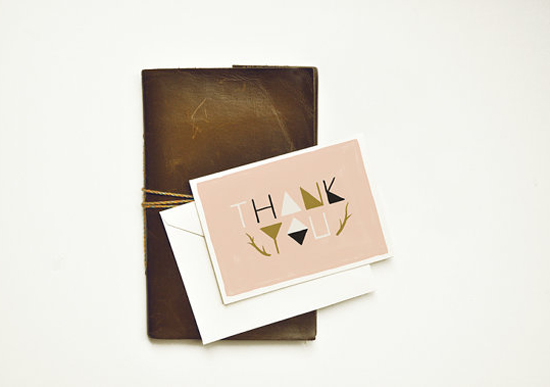 For some, a blog is too permanent of a record for this kind of talk but there is always a newsletter or even a Facebook post where you can quickly say thank you. 2. Give back - If you’ve had a really great month, tell the world - and offer up a discount, a pattern, a tutorial - whatever is suitable for your business. You are paying it forward online which will make you feel good and your clients, too. Also think about giving back to your community at large: offer product donations to school auctions, give a percentage of your profits to a favorite non-profit, or spend some time as a volunteer. 3. Take some time off - this one might not make any sense, but most business owners are workaholics. Allowing yourself to play hooky for a day can recharge your creative energy and also prove to your fans that you are not super human. Be grateful for the ability to escape for a few hours and return renewed. Who knows, you might inspire someone else to do the same thing. How do you show gratitude about your life in general and about your business? Do you prefer to talk about it or keep it under wraps? I completely agree with all three tips, especially giving back. I spent the evening volunteering and didn't realize the impact it would have on me. It feels good to make others feel good! I really appreciate this post. All the things you discussed and suggested, I agree with. Being grateful doesn't seem like it would directly affect your business, but it does more than you can imagine! And it feels really good because you're connecting with people in a meaningful way. Thank you! It also reminds me of some of the things discussed in the book, "The Gift" by Lewis Hyde.